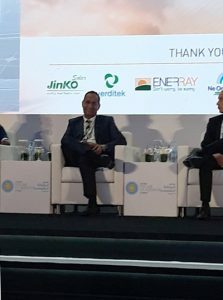 Devinder K. Sharma, Regional Director of Technical Services, Swiss-Belhotel International, participated in a panel of experts on BIPV at the Big 5 Global Solar Leaders’ Summit. The topic discussion was ‘Innovation in Solar Building Skins and Energy Efficiency towards Sustainable Cities’. There are multiple factors that are driving solar energy solutions in the urban sector. Industry experts agreed that in order to prepare for an urban influx of 2.5 billion people by 2050, it is critical to create cities that are low-carbon, resilient and affordable. Solar energy solutions are greener and cheaper than the alternatives. According to recent reports, the UAE is among the world’s top investors in clean energy and is set to invest AED 600 billion by 2050 in the sector with a target to have 75 per cent of the total power output from it. 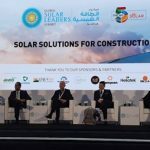 Mohammed Bin Rashid Solar Park has announced plans to build one of the world’s largest solar energy plants, which will be able to generate 5GW of power by 2030.